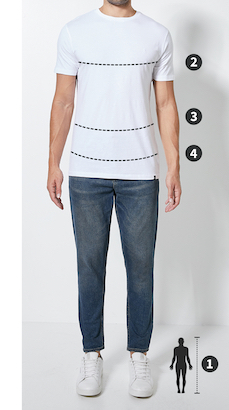 Please note that Superbalist men’s tousers, joggers and sweats are designed to fit the following waist measurements. Some brands may vary from these measurements but the table can still be used as a guide. Cool, calm and collected, these comfortable grey trousers are, like all joggers, ideal for long days on the couch. However, thanks to their tapered fit, along with long ribbed cuffs, elasticated waist and 3-pocket design, they can be easily dressed up for nights out with a branded tee, bomber jacket and high tops.